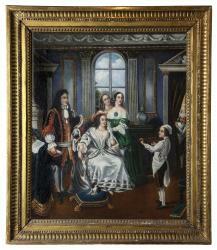 This painting is in excellent condition with no major alterations or repairs, and probably has its original frame. 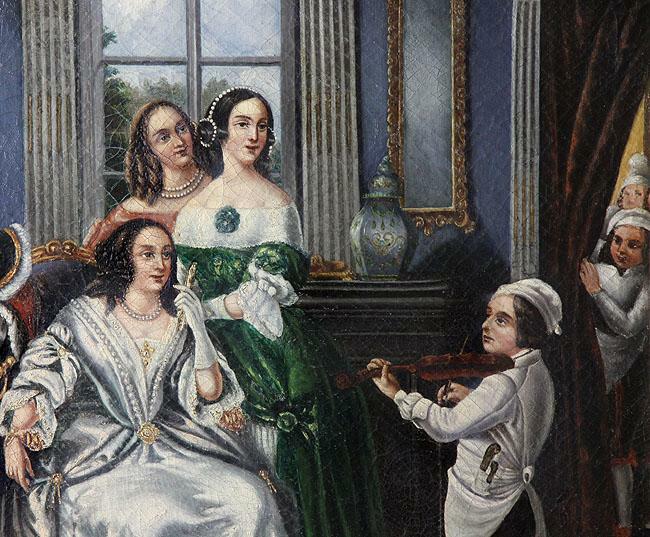 It is highly decorative and has many architectural points of interest, aside from the young musician. b. Versailles, 14 July 1775; d. Paris, 3 March 1847. French painter. Around 1795 he entered the studio of Jacques-Louis David, where he was a member of the group of artists from southern France known as the 'parti aristocratique' (Pierre Révoil, Fleury Richard, Comte Auguste de Forbin and François-Marius Granet), who were among the first to paint small-scale pictures of French history. Ducis remained a friend of Granet throughout his life (e.g. Portrait of Mme Granet , Aix-en-Provence, Mus. Granet). He exhibited regularly in the Salon between 1804 and 1838, winning a medal for history painting in 1808. He rapidly acquired a considerable reputation with scenes of sentimental mythology such as Orpheus and Eurydice (exh. Salon 1808; untraced), in part due to his links with the poet Jean-François Ducis (his uncle) and with his brother-in-law, the actor François Joseph Talma. 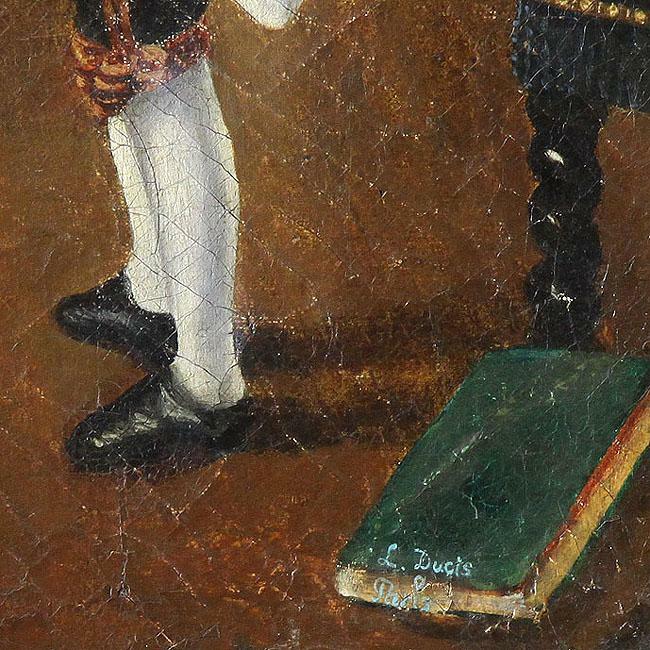 (He exhibited Talma's Débuts (Paris, Mus. 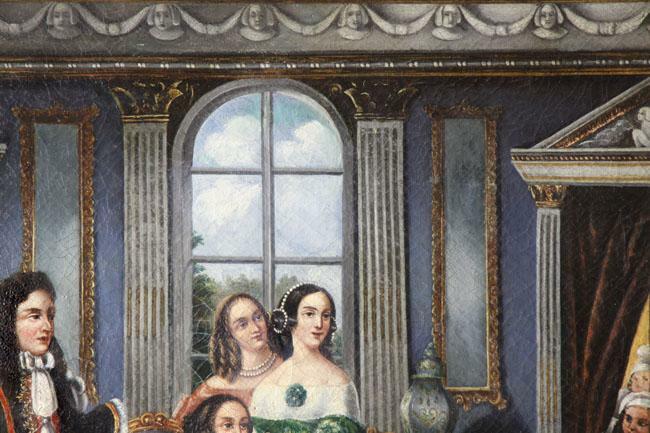 Comédie-Française) at the Salon of 1831.) Josephine and her daughter Hortense were among his patrons; at Malmaison the Empress owned four portraits by Ducis of children, probably the two youngest sons of Hortense and the elder daughters of her son, Eugène Beauharnais (untraced). 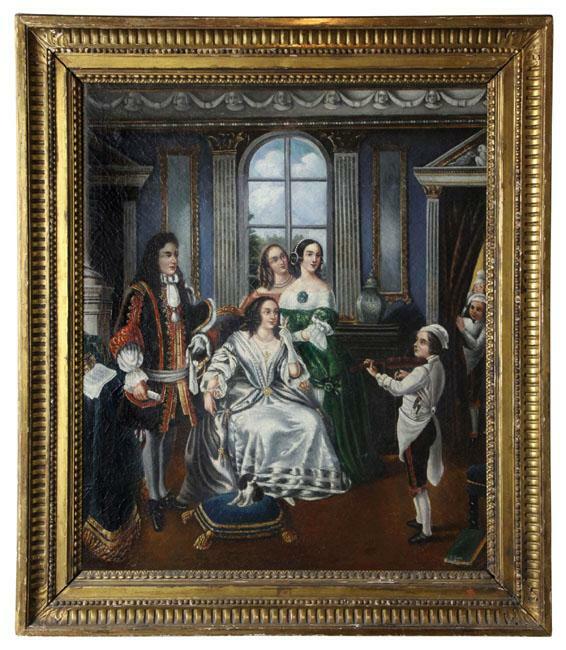 For Napoleon Ducis executed a stiff composition, halfway between a group portrait and a history painting, Napoleon and his Family at Saint-Cloud (exh. Salon 1810; Versailles, Château). In 1811 he stayed in Naples, where he painted portraits of the royal family.